Seven were members of the IRA, three from the Irish National Liberation Army (INLA). They were fasting as part of a campaign by republican prisoners to defeat Thatcher’s efforts to criminalise the armed struggle against British rule. Despite heavy censorship in the traditional New Year release of government archive papers, some new information emerged from the documents released in London, Dublin and Belfast this week. None of the papers discuss the motivation behind the hunger strikers’ actions, and none contain material of a military or intelligence nature. But controversially, a statement has been presented, attributed to a prison warder at Long Kesh, which claims that members of the family of one hunger striker, Raymond McCreesh, had talked him out of abandoning his fast. The conversation is alleged to have taken place during a visit to the prison’s hospital wing. That was strongly disputed by the family this week. His brother, Fr Brian Mac Raois, particularly rejected suggestions that their mother, Susan, told her son that he was “going back on your word”. The family, originally from County Armagh, said they believed the episode was part of a plot to break the hunger strike. The release of documents on the 1981 hunger strike takes place amid a current prison protest at Maghaberry jail, with the British government again seeking to criminalise republicans. Thirty years ago, the British were equally concerned with the public’s view of its handling of prison protests. It noted “increasingly disturbing signs of an erosion of international confidence in British policy” towards the IRA hunger strike at Long Kesh. The government did not want to be portrayed as “inflexible”. But it was the prospect of an intervention by the previous prime minister, James Callaghan, which caused most anxiety. It was thought Callaghan was about to make a speech proposing that the North of Ireland “should become independent, with transitional arrangements under which British troops and British financial assistance would remain available for a limited period. “His [Callaghan’s] views might well receive massive support from public opinion in Britain, where there was already a widespread feeling in favour of British withdrawal,” it admitted. By then, four hunger strikers had already died. The immediate problem was how to prevent further deaths, so the cabinet discussion moved on to “compulsory feeding”. “If done intravenously by modern methods,” it was proposed, “this should not involve the violent scenes associated with the forcible feeding of prisoners in the past. “On the other hand, it was uncertain whether the prison doctors would be willing to co-operate; and if intravenous feeding led to all the protesting prisoners coming out on hunger strike, the authorities would be faced with the enormous task of sustaining by such methods indefinitely.” In the end, it was never tried. 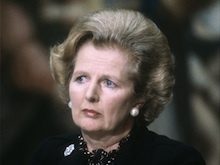 The discussion ended with Thatcher summing up, saying “further thought would need to be given to all possible courses of action in regard to Northern Ireland, however difficult or unpalatable”. The documents have also fuelled a continuing controversy within republicanism over whether a genuine opportunity existed to end the hunger strike in the days before the death of the fifth hunger striker, Joe O’Donnell, in July 1981. It has been suggested that handwritten alterations to the text of a message sent to the IRA by MI6 (British military intelligence), were made by Margaret Thatcher herself. The alterations are inconsequential, and the letter itself, an apparent attempt to formulate a deal to end the hunger strike, is unsigned. The tentative offer agreed to three of the prisoners’ five demands, but was presented trenchantly and in uncompromising language. The documents show the Sinn Fein leadership then sought to ensure the offer had British cabinet approval. However, the British insisted that “before drafting any document for consideration by ministers we should possess the Provisionals’ view”. The Sinn Fein leadership then sought to alter the ‘tone’ of the agreement, but not the content. At the same time, an intermediary warned the British of “alarming reports” inside the prison, and that “the possibility of any settlement was now seriously in doubt”. Nevertheless, according to cabinet files, the British government agreed to send the IRA a further draft, enlarging upon the offer’s content but not its substance. “If it did not produce a response leading to the end of the hunger strike”, Thatcher said, her government would refute it. That final statement never emerged, for reasons which remain unclear. Historians have pointed to strong resistance to deal from within the ranks of the British government for ending the initiative. Joe McDonnell died on July 8. Following his death, and in the absence of a further British statement, the process came to an end. Danny Morrison, one of the key Sinn Fein figures who went into the prison that July, said the documents vindicated the IRA’s decisions at the time. The hunger strike continued until October, when it finally ended. * Further analysis of the 1981 papers will be published next week.